Engineering plastics are a class of thermoplastics with better chemical and thermal properties than standard plastics, such as high abrasive strength, heat resistance and mechanical strength among others. These properties have added versatility to the application of these plastics in various industries, causing demand growth in recent years. Common engineering plastics include ABS, PA, POM, PET etc. Plastics are becoming the backbone of the modern industrial economy, owing to their excellent physical and chemical properties, combined with low costs. Engineering plastics are witnessing demand from a wide range of industries, including automotive, electronics, building and construction etc. These wide ranging applications of engineering plastics along with growing demand in developing regions are expected to spur market growth in coming years. The global market for engineering plastics was worth USD 68 Billion in 2016. On the back of rising applications across industries, the market is expected to grow at a CAGR of 7.1% during the forecast period, and reach a market size of USD 117.7 Billion by the end of the forecast period. ABS accounts for the largest share of the market in terms of revenue amongst all types of engineering plastics, its excellent qualities like strength, corrosion resistance and easy application making it a favored choice among industrial users. By application, the automotive industry accounts for the largest market share due to rapid metal parts replacement. Geographically, Asia Pacific holds the largest market for engineering plastics, owing to rapid industrialization, and thriving automotive and consumer industries in the region. Rising usage of engineering plastics as a replacement for metals in various industries, augmented by industrial growth worldwide, and rapid technological advancements in engineering technology that allow these plastics to enter new applications are the key factors driving growth in the engineering plastics market. Growth and development in the automotive sector, the largest application segment of these plastics, will also drive demand as automakers increasingly use these plastics instead of metal parts to reduce the weight of vehicles and increase fuel efficiency. Trends of miniaturization of electrical components might also affect market momentum. Low cost of plastics is another factor making the use of these plastics favorable. 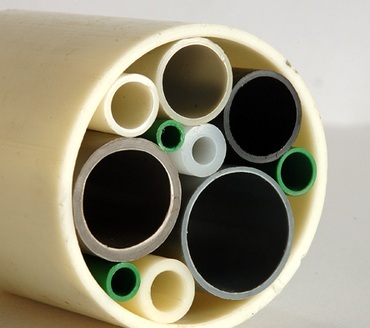 However, adverse fluctuation in oil prices and government regulations regarding carbon dioxide emission might pose challenges to the growth of the global engineering plastics market. Further, development of low cost commodity resins might also hinder demand for engineering plastics to an extent.